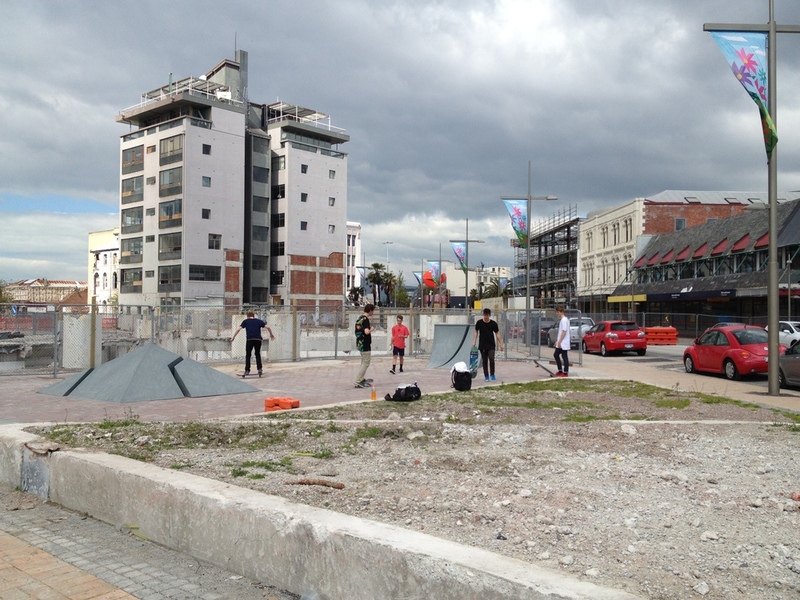 As an accomplished artist and skateboarder, Shaun Gladwell’s practice has long been interested in public art as an aspect of the urban environment that can be appropriated by skateboarders. 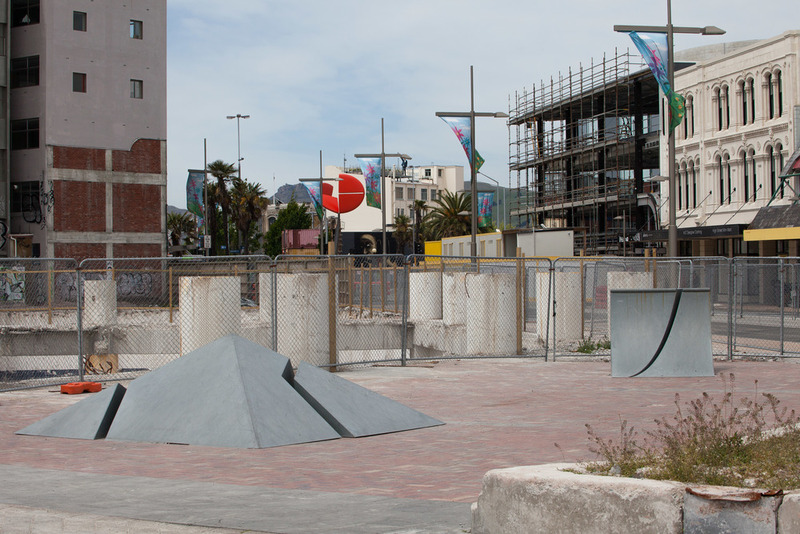 Shaun’s steel sculptural works look to the innovative ways skating operates in a ‘broken’ environment. 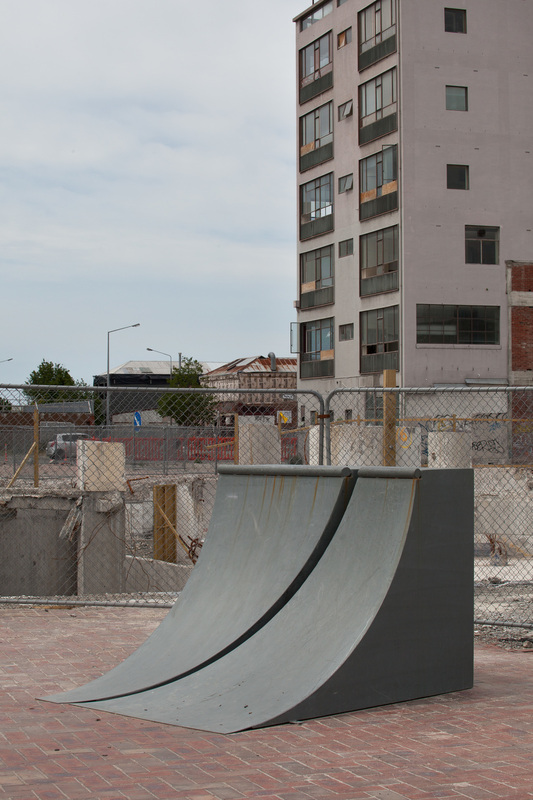 While best known for his video works that explore motion, energy and balance through tracking the rhythms, cycles and forms of various modes of informal performance, from skateboarding and bike-riding through to car-surfing, Shaun Gladwell also produces painting and works in sculpture and installation. His work draws heavily upon popular culture, such as the references to the Mad Max films underpinning his MADDESTMAXIMVS works that were most notably shown in the Australian Pavilion at the Venice Biennale, 2009. His work is also deeply embedded in explorations of site and place; in how inhabitants and outsiders alike forge relationships with their environment and how this can be crystallized through action and performance. Shaun Gladwell holds degrees from both Sydney College of the Arts, University of Sydney (BFA, Hons) and the College of Fine Arts, University of New South Wales (MFA). He also undertook Associate Research at Goldsmiths College, London. Since 2001 he has undertaken numerous international residencies and commissions, and exhibited extensively internationally. Major solo survey exhibitions of his work have been held at Artspace Visual Arts Centre, Sydney, 2007; Campbelltown Arts Centre, Sydney and Institute of Modern Art, Brisbane, both 2010; Australian Centre for the Moving Image, Melbourne, SCHUNCK* Museum, Heerlen, The Netherlands and Wadsworth Atheneum, Hartford, US (as part of the Matrix exhibition series), all 2011; and the De La Warr Pavilion, Bexhill on sea, UK, 2013. Gladwell represented Australia at the 53rd Venice Biennale and travelled to Afghanistan as the official Australian War Artist in 2009. His work has also been included in a range of major international exhibitions, including The Power of Doubt, Museo Colecciones ICO, Madrid, 2011; Paradise Lost, Istanbul Museum of Art, 2011; Adaptation, Power Plant, Toronto 2010; Taipei Biennial, 2008; Revolutions – forms that turn, 16th Biennale of Sydney, 2008; 52nd Venice Biennale, 2008; How to Live Together, 27th São Paulo Biennial, 2006; Everywhere, Busan Biennale, South Korea, 2006, and Art Circus (Jumping from the Ordinary), Yokohama International Triennale of Contemporary Art, 2005. A number of monographs have been published on Gladwell’s work. Shaun Gladwell is represented by Anna Schwartz Gallery, Australia.